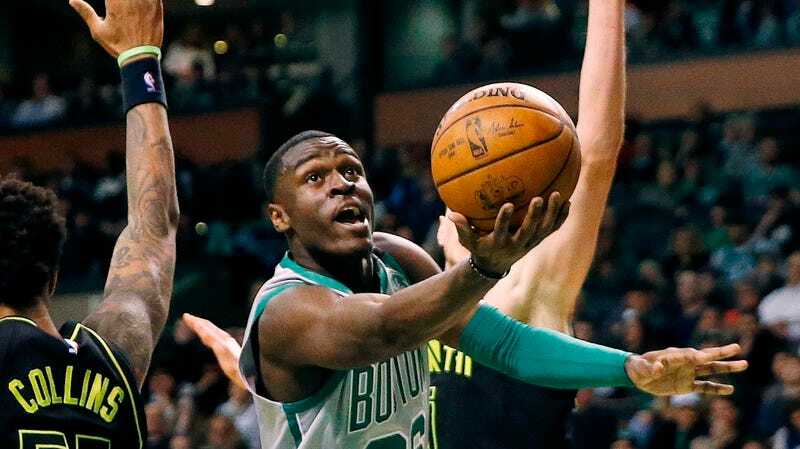 Celtics swingman Jabari Bird was arraigned today at the Brighton (Mass.) Municipal Court on a series of domestic violence charges, including assault and battery with a dangerous weapon, assault and battery of a family or household member, kidnapping, and strangulation. Bird allegedly assaulted his girlfriend on Friday and he was arrested over the weekend. This afternoon, prosecutors detailed the alleged attack: the victim told them that Bird slammed her against a wall before repeatedly choking her. She said Bird would strangle her until her body started to go limp, before allowing her to catch her breath and starting back again. Bird allegedly attacked her in this manner for four hours, kicking her, and forcing her to hide in a bathroom and under a bed. When she tried to escape, she says he dragged her back in by her ankle. She says she finally escaped when Bird passed out. The woman told police Bird was having “seizure like” symptoms when she eventually escaped. She said Bird texted her that he would kill himself if she didn’t come back. Bird is currently being held on a $50,000 bond, and he has pleaded not guilty. His next court date is on Oct. 25, and while his agent disputed the victim’s version of events, he reportedly declined to give an alternate story. Prosecutors requested bail be set at $100,000, and the judge set it at $50,000. Bird will not be allowed to set foot on the campus of the alleged victim’s college, and he is only permitted to leave the state for business. The Celtics released a statement about the proceedings, acknowledging that they’ll be working with the league and the police as the case moves forward.